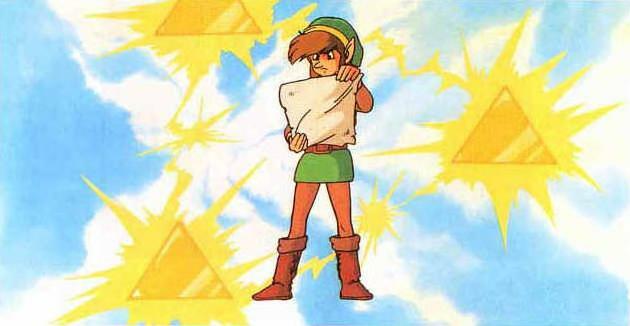 The folks at Game Informer have attempted to take a look at the much argued timeline of Zelda. Using in game text and important story points with each example, member Matt-boy attempt to piece together their own version of the timeline. All while listing several solid reasons why he believes each game falls into order. With the funny videos and still heated debate, I was lost for years if the many incarnations of Link are interconnected or not. Simple answer is yes, the complicated answer is “some are, some aren’t.” An even better answer is “it’s just a game series man… enjoy it.” But I’m gonna try to put all this to rest. I’ve collaborated with fellow Zelda fan and GameInformer contributor Feircy Deity, and I’ve tried to make “MY” (please note the use of words as its what I believe and can still be argued and such) timeline theory as simple and understandable as possible. This version omits Skyward Sword due to not being released therefore all storypoints are mostly speculation. So Ocarina of Time is considered to be at the beginning, replacing Minish Cap as the assumed first. Here is what he stated to be the timeline according to his interpretation. This specific version of the timeline was placed near the beginning of the article, he then proceeds to explain reasons why each game is where it is on an individual basis. This article does contain many spoilers on the ending storyline of the games listed here in the explanations. First covered is the Adult Timeline from start to finish listing the reasons why he structured it this way. A few of the games, Ocarina of Time, Wind Waker, Phantom Hourglass, and Spirit Tracks make sense as their ingame story easily connects them. The Minish Cap, Four Swords series, and the original Legend of Zelda are a little trickier as they require more explanation citing the lack of the Triforce and Master Sword to the events of Wind Waker. Next was the Child Timeline, it is known that Majora’s Mask was the direct sequel and Twilight Princess and continuation of the story begun in Ocarina of Time. A Link to the Past and Link’s Awakening are also commonly understood to be connected; while Ganon’s death in A Link to the Past is listed as the reason behind the events of the Oracle Series. Near the ending he lists and acknowledges several inconsistencies in this theory such as the multiple Ganondorfs and how the King of Hyrule acquired the Triforce of Courage. A few short explanations are given to each as well as the traditional answers that the games are either not connected at all, or the developers were simply not over concerned with making everything fit perfectly. Timeline debates are the most discussed debates on nearly any Zelda forum, I have been a part of many in the past myself. Although there were a few placings that I did not originally agree with when reading this, his examples and reasoning behind them is interesting. I do appreciate seeing just how someone came to believe what they believe. I still do not agree with dropping Minish Cap from the beginning solely based on the assumption that developer quotes can contradict each other. I also wish that he listed more reasons why he believed that A Link to the Past came after Twilight Princess. So what do you think? Does this version make more sense to you? Were there any parts you did not agree with? Let us know in the comments below.